Le Méridien Indianapolis stands in the heart of the business, shopping, and dining district. 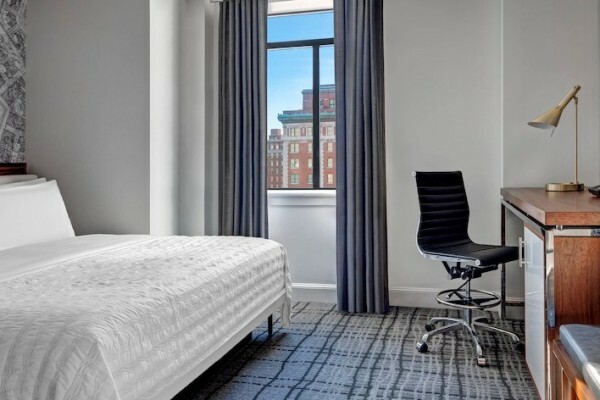 Nearby is the Indianapolis Cultural Trail, an urban bike and pedestrian path connecting downtown to important areas.Energising spaces include the complimentary 24-hour fitness centre and the lively atmosphere of our lobby Hub. The hotel is conveniently connected to Circle Centre Mall and the Indiana Convention Center, which spans more than 1,300,000 square feet.Our 100 chic guest rooms and suites feature complimentary wireless High Speed Internet Access, ergonomic workspaces, 42-inch flat screen TVs, and pillow-top LM BEDs with 300-thread-count sheets. In-room illy coffee sparks productivity and imagination.